What does the press and the wonderful Youtuber's say about Logickeyboards? Wassup peeps! The homies at LogicKeyboard made a keyboard specifically for FL Studio's Shortcut keys. You already KNOW that I wanna show my peeps on my channel about this! "If you are barely thinking about buying a keyboard or are in desperate need of a new keyboard and you use Resolve 12 or 12.5 you should immediately buy the Logic Astra Keyboard. I love it, and I know you will not regret it." no more - this is a winner"
LogicKeyboard is now shipping three versions of a new custom keyboard specifically designed to take advantage of Aperture 1.5's keyboard shortcuts. 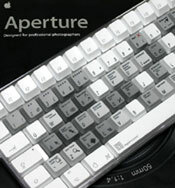 Logickeyboard annonce la disponibilité d’un clavier Aperture. Un accessoire « indispensable » dans le traitement de vos photos avec Aperture. No Photoshop user should be without a Logickeyboard! This really is the easiest and most pain-free way of learning all those useful Photoshop shortcuts. The BSP Europe LogicKeyboard can be purchased either as a full computer keyboard or as a set of replacement keys to fit a normal Mac G4 keyboard. 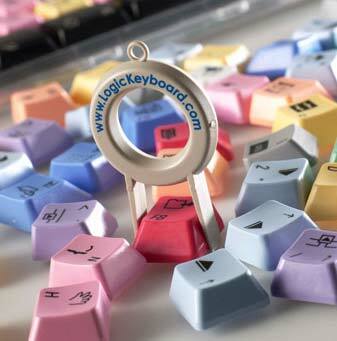 The idea is that all the commonly used Logic commands have dedicated keys or key combinations with the function printed onto a colour-coded key for easier navigation. An included CD-ROM contains a Key Commands setup which can be imported to match the new keys. Expo New keyboard for Logic users. Never forget a shortcut again. 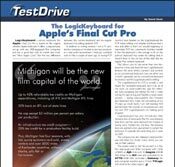 Product Review: Logic Keyboard Final Cut Pro. It really brightens things up in here!" That was the comment from the first client who walked into my editing room after I had plugged in the Logic Apple Pro Keyboard for testing. Den perfekte julegave til manden der har alt vil mange nok sige. Men der er faktisk tale om en effektivt stykke værktøj for manden, der til daglig bruger flere timer bag redigeringsprogrammet Final Cut Pro. When it’s Good, it’s Good! 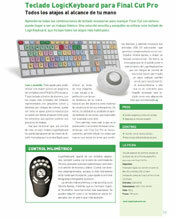 Evaluation of the Logic Keyboard for Adobe Premiere. If your into DV editing, this is a must tool!